Manny Pacquiao will reportedly step into the ring against WBA welterweight champion Keith Thurman next. Thurman returned to the ring in January after a near two-year hiatus from competition. He successfully retained his WBA welterweight title against Josesito Lopez in Brooklyn. Now, he’ll step into the ring against one of the sport’s biggest legends for his next title defense. Pacquiao also last fought in January. The 40-year-old is on a two-fight win streak after victories over Lucas Matthysse and Adrien Broner. A match-up against Thurman at this point in his career is certainly an interesting one. 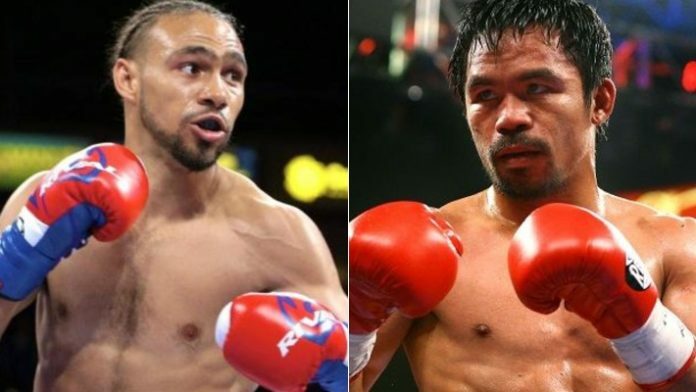 What do you think of the match-up between Pacquiao and Thurman?